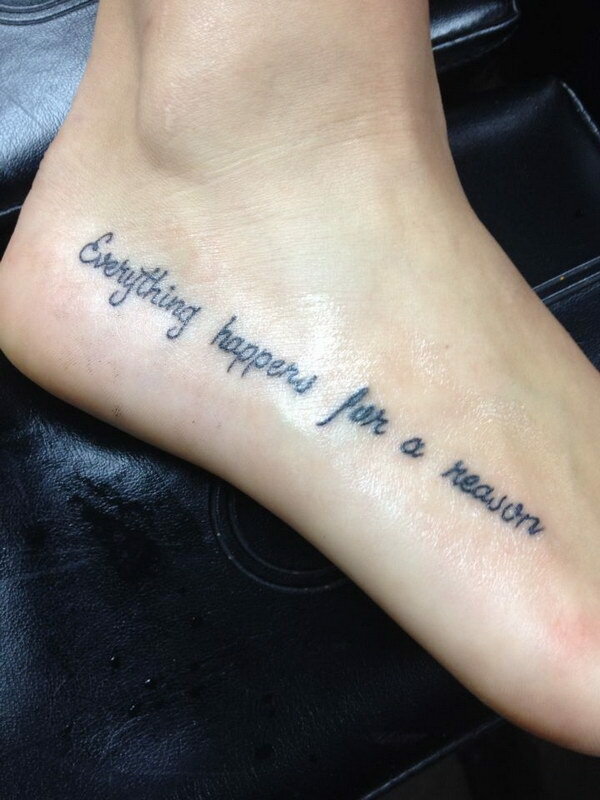 Have faith that everything happens for a reason, when you are experiencing grief or loss. 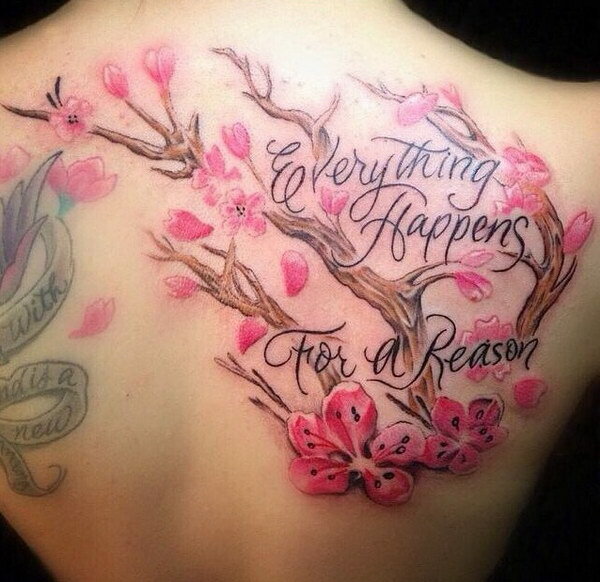 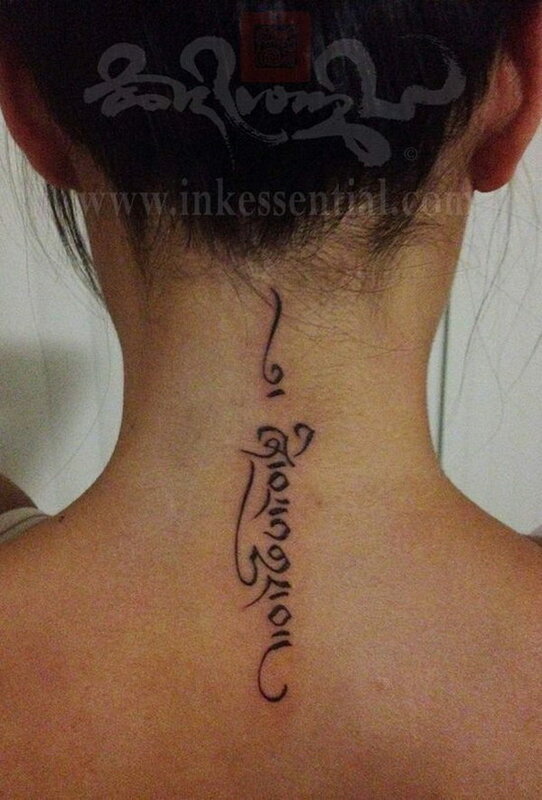 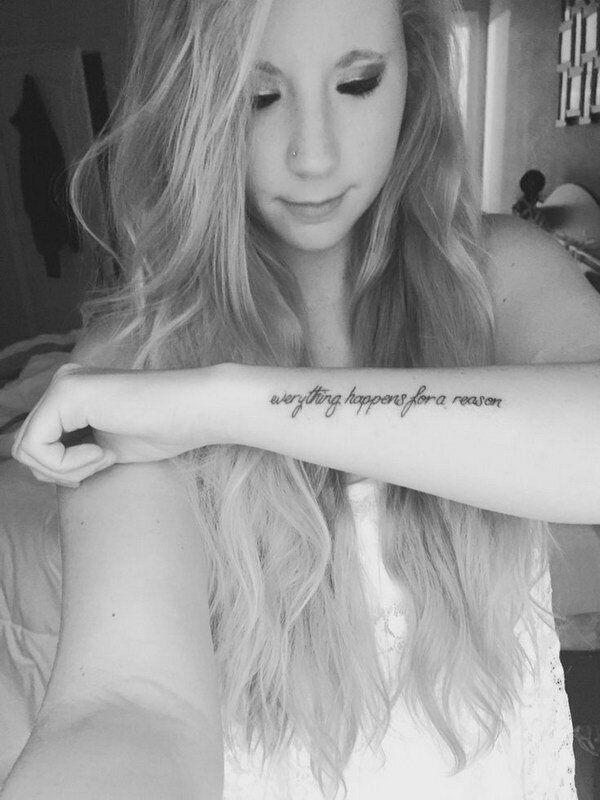 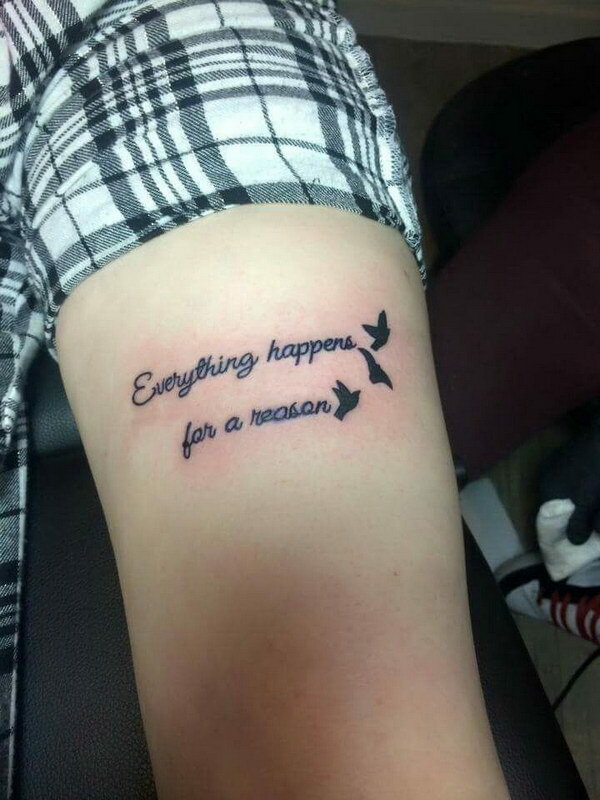 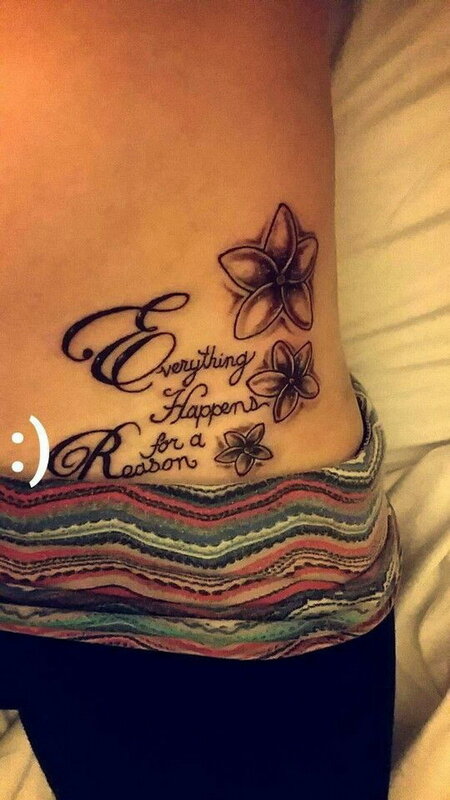 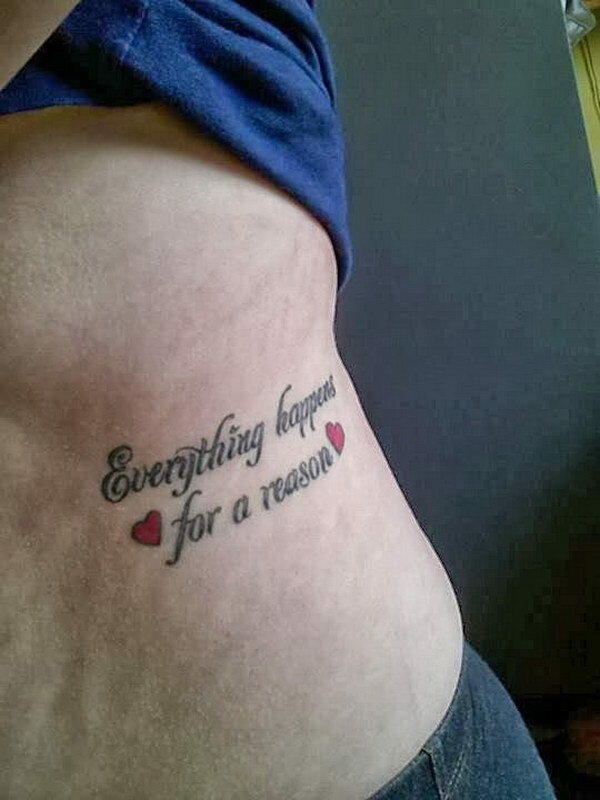 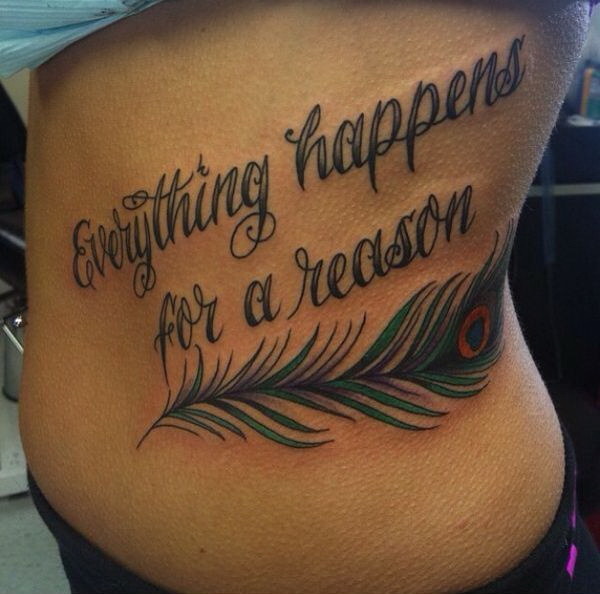 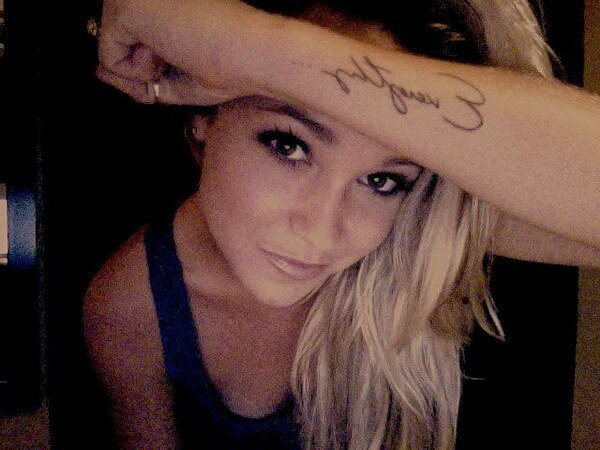 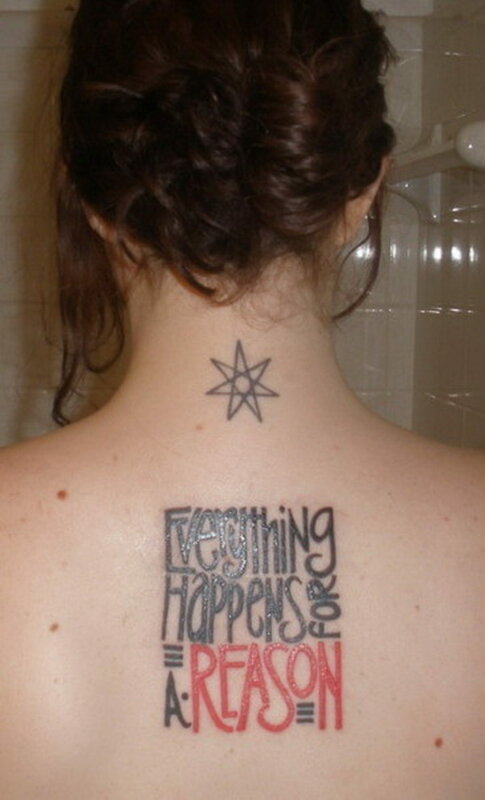 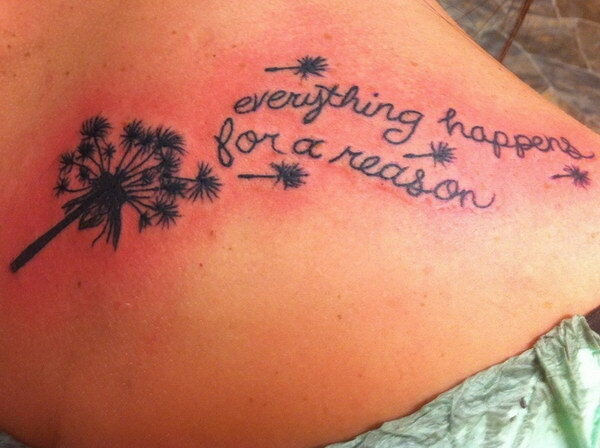 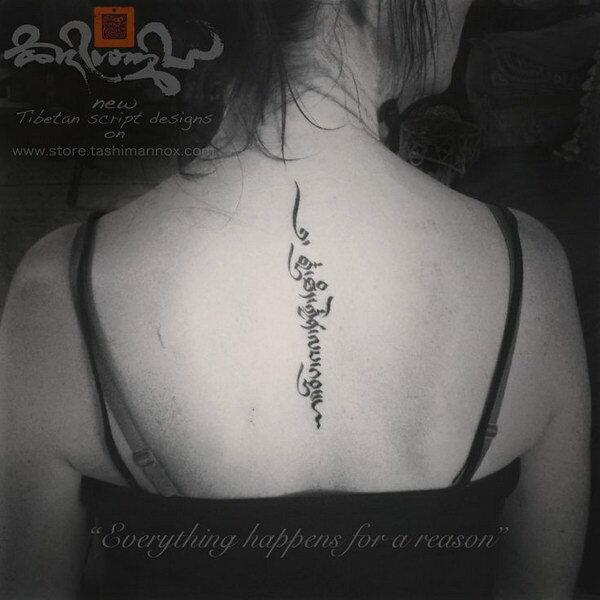 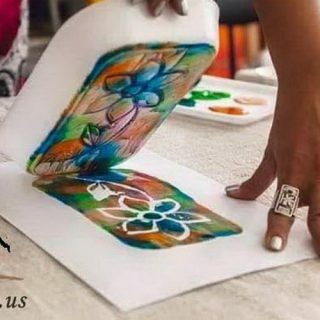 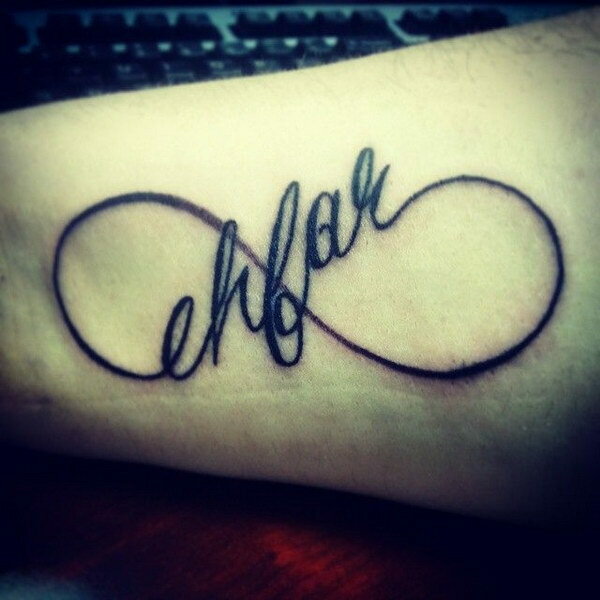 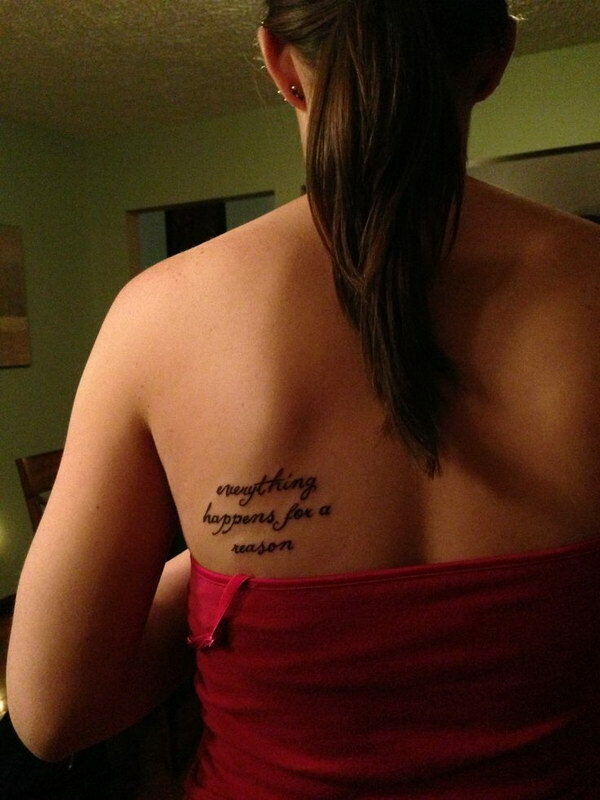 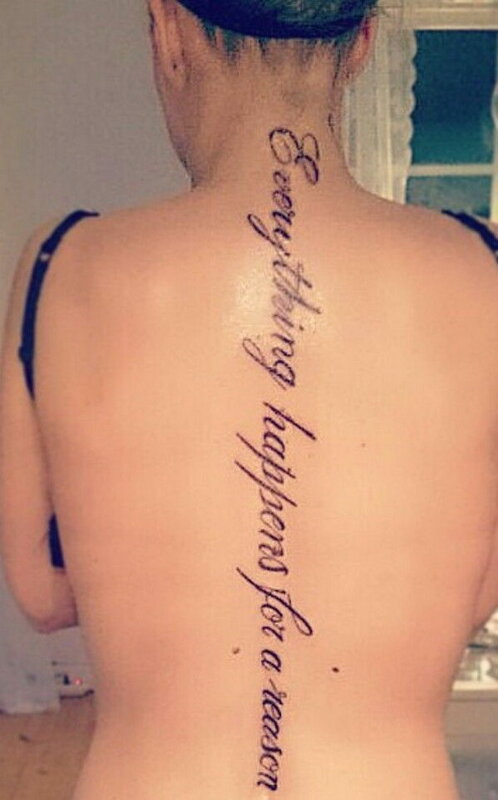 Here are some great everything happens for a reason tattoo designs for your inspiration. 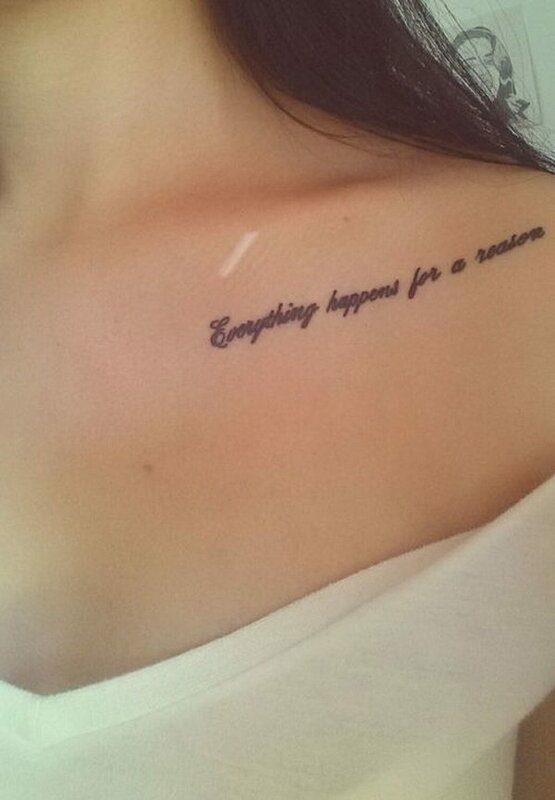 Sometimes things happen to you may seem horrible, painful, and unfair, but never give up or lose hope. 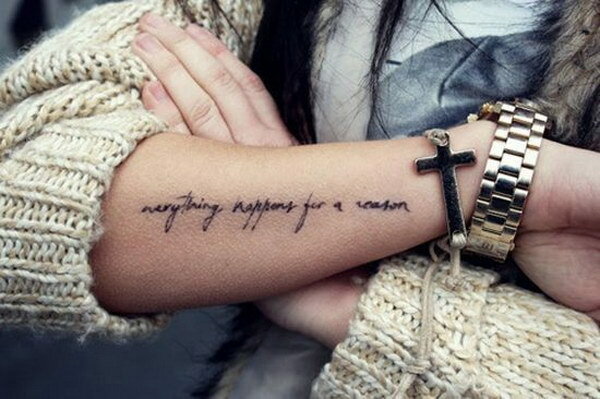 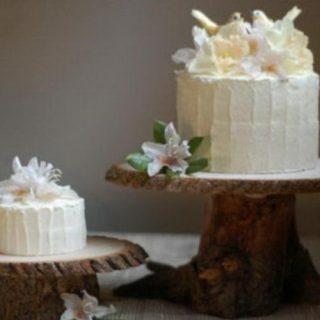 If you believe that everything happens for a reason, you can rest assured that some good things will happen eventually. 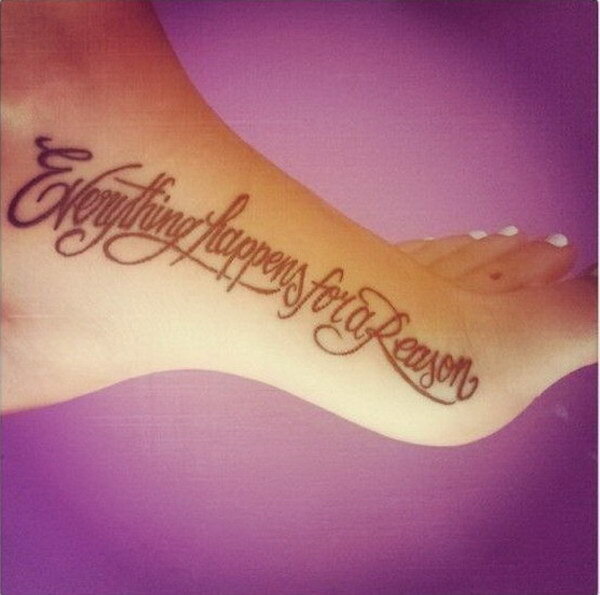 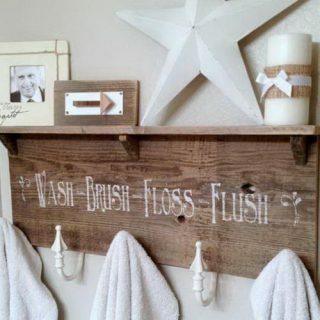 Love the placement on the foot and the beautiful font. 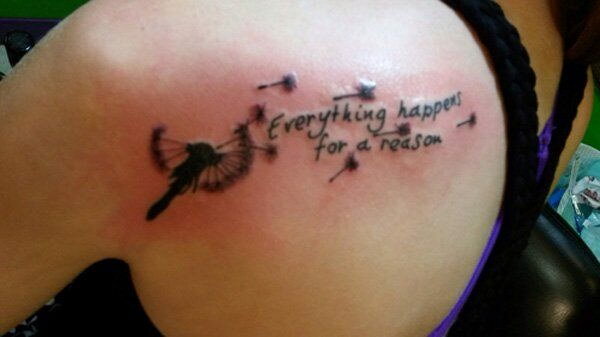 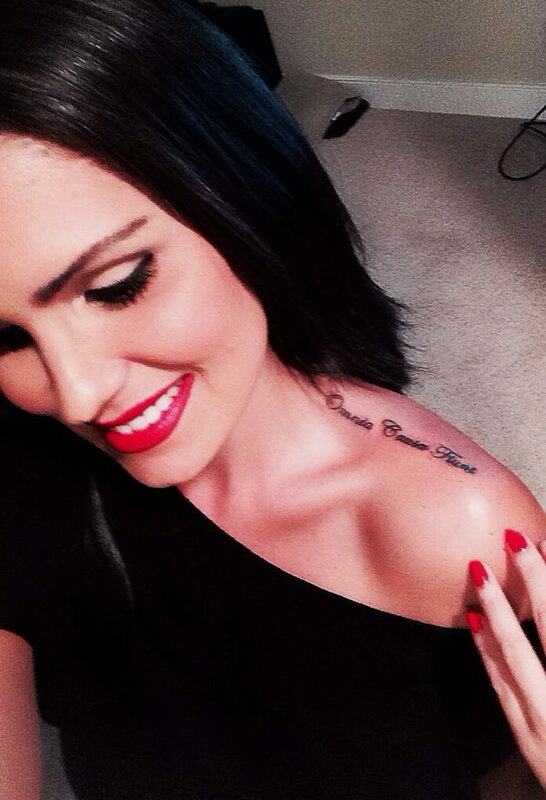 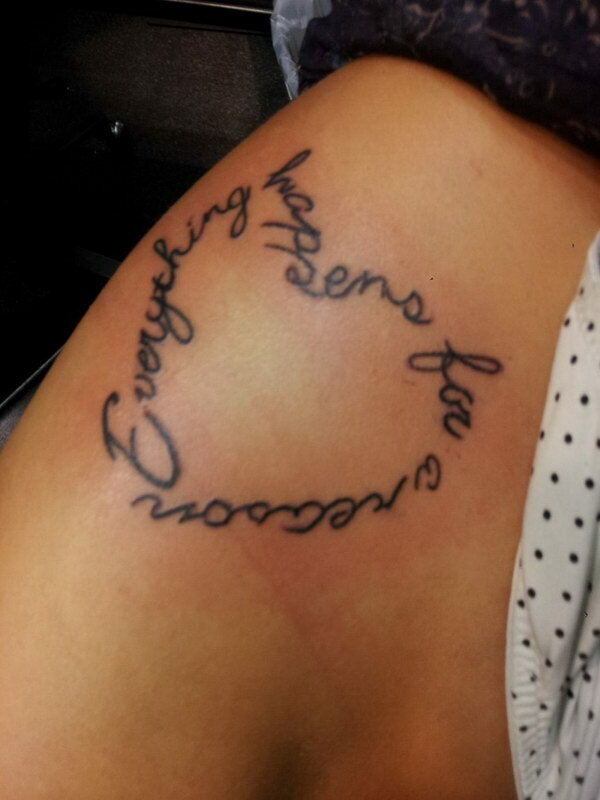 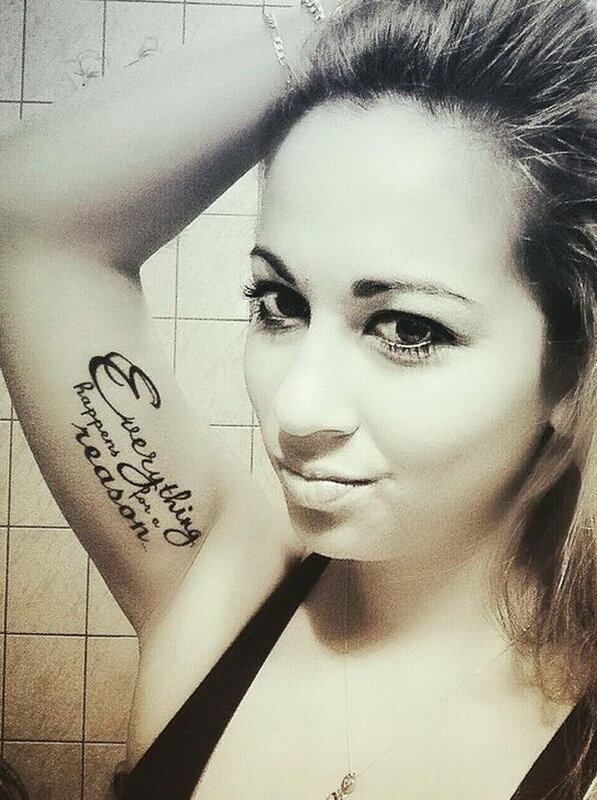 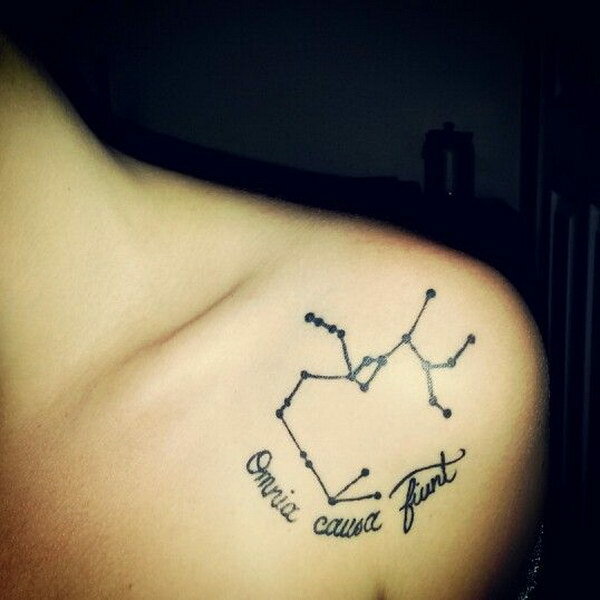 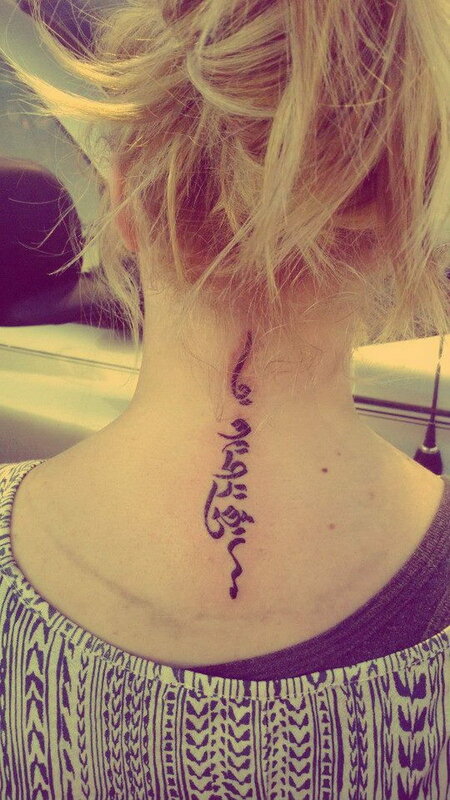 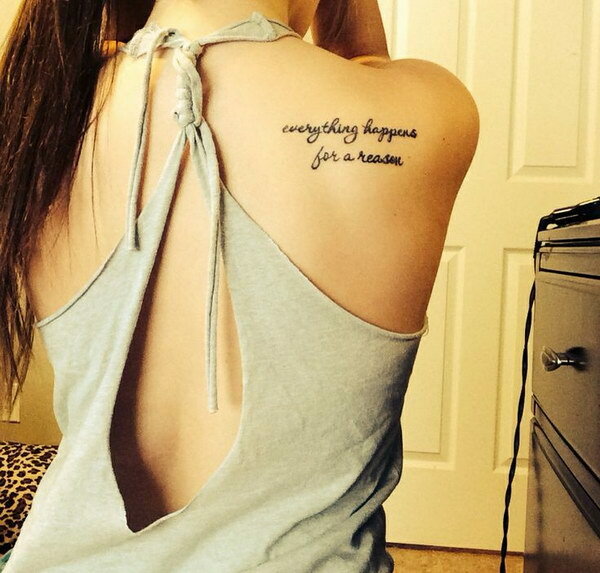 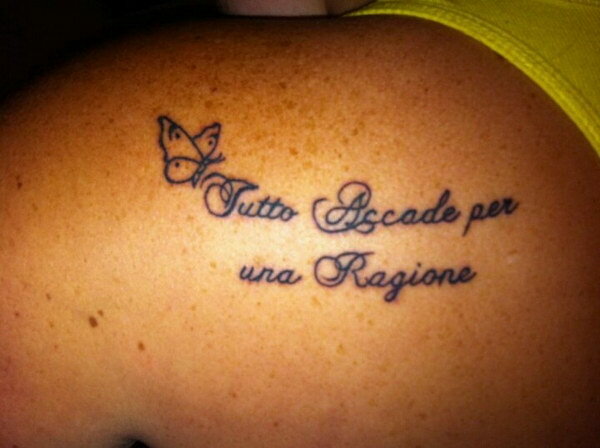 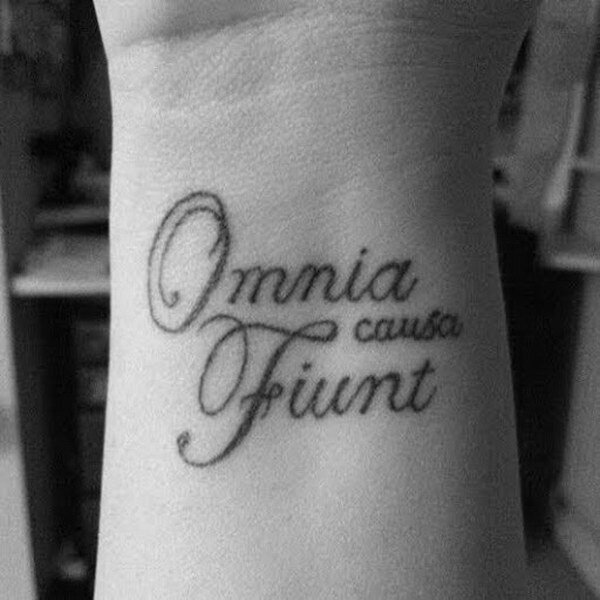 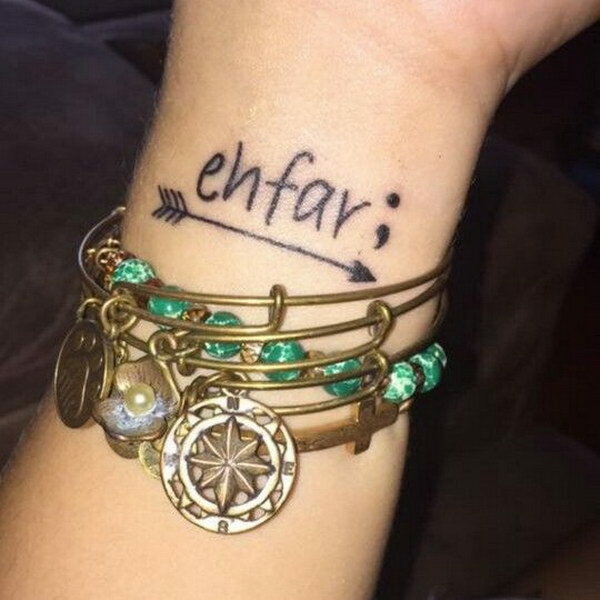 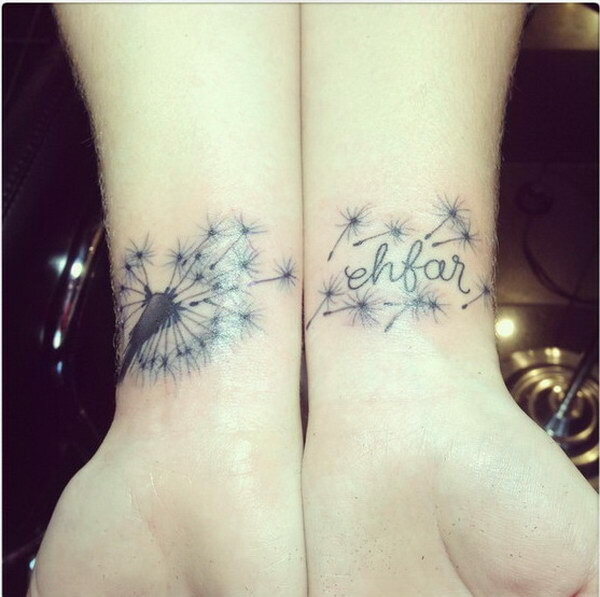 Sagittarius Constellation Shoulder Tattoo with the Latin Phrase Omnia Causa Fiunt “Everything happens for a reason”.